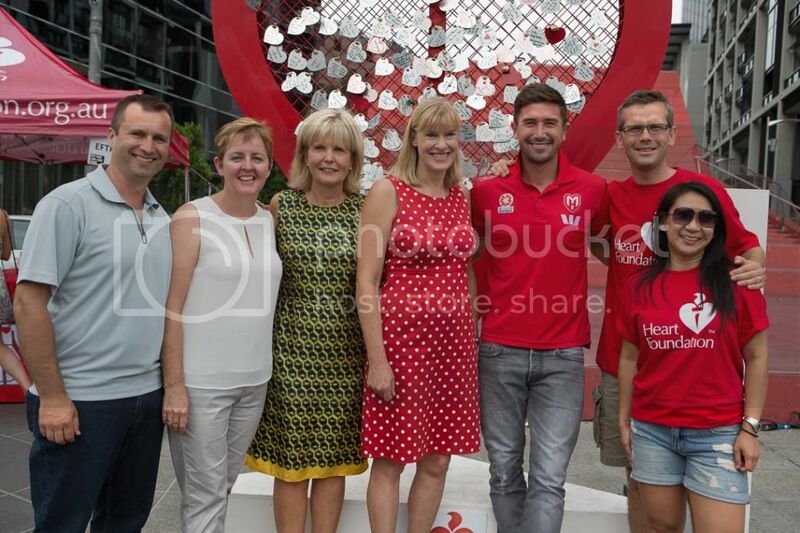 Melbourne Heart FC captain Harry Kewell showed that 'he-s all heart' for the Heart Foundation-s Valentine-s Day campaign by purchasing a ‘Love Lock- at Southbank, Melbourne on Friday. The Heart Foundation and Harry Kewell are encouraging Victorians to show their ‘hearts are made for more than loving- by supporting the charity-s work and helping to stop the heartbreak that heart disease brings. “People can purchase a ‘Love Lock- for $10 or a special ‘Love Parcel- for $50 and dedicate their heart to the love of their life or to someone we-ve lost to heart disease," the Heart Foundation-s CEO, Victoria, Diana Heggie said. “Simply write a message to your special someone on the heart, then attach the Love Lock to the heart-shaped installation." Melbourne Heart FC captain, Harry Kewell said the Love Locks Valentine-s Day campaign is a great initiative by the Heart Foundation. “I-ll be adding a Valentine-s Day Love Lock for my family and for everyone touched by heart disease,” Harry said. “This is a fun way for me to show my support in the fight against heart disease and promote the importance of heart health." Ms Heggie said too many Australians have ‘broken hearts-, with 1.4 million Aussies living with heart disease. “Heart disease still remains the single biggest killer of Australian men and women and the Heart Foundation is working hard to change this,” Ms Heggie said. Find out more at www.heartfoundation.org.au/support-us/pages/valentines-day.aspx or buy your Love Lock online today.